In house, our bedroom is a favourite space. We spend so much time reading stories to our girls, snuggling up, playing, tickling. We sing bedtime songs, and do "family cuddles" at the end of every day. Its always felt like a bit of a sacred space to me. Our bed is where we, as a family, can be the closest. I have always loved photographing families in bed. As it is such a special place in our family, I find it to be the same for others. Its the perfect space to get close, to play and read, to love & nurture. 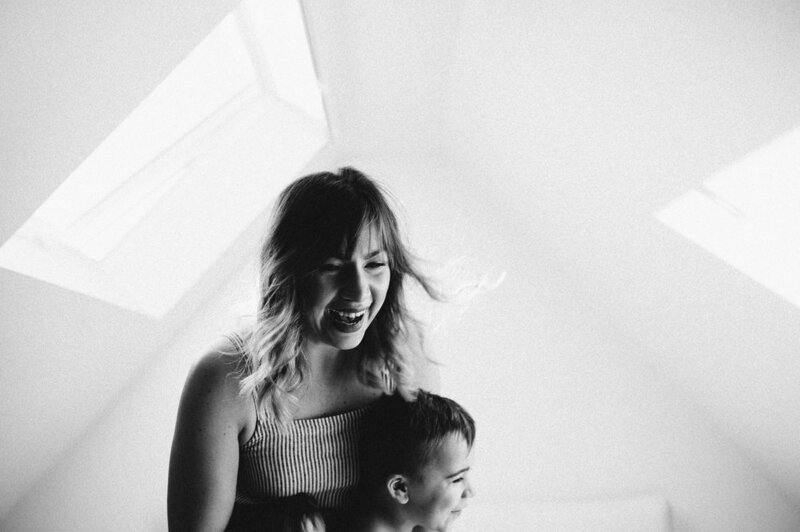 Almost every time I photograph a family in their home, we start in the bedroom. 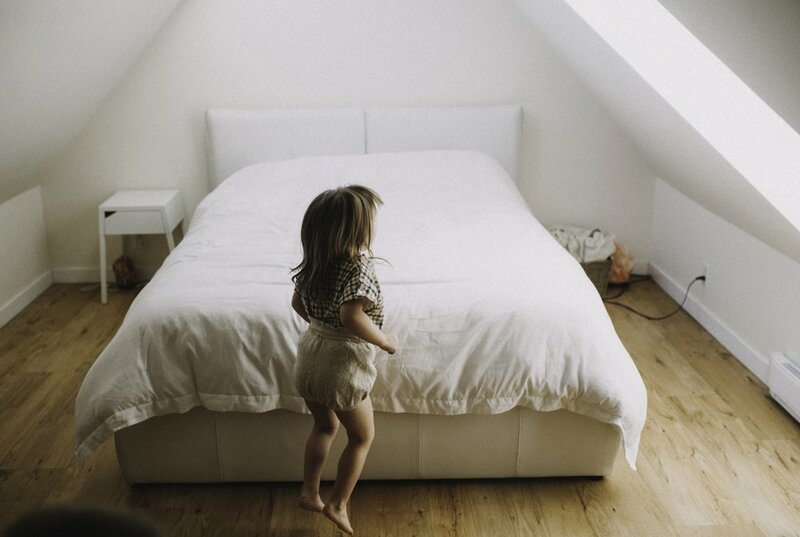 Kids feel safe in their Mom and Dad's bed - They feel close and secure & really let go. I'm so excited for the next Project Motherhood series. 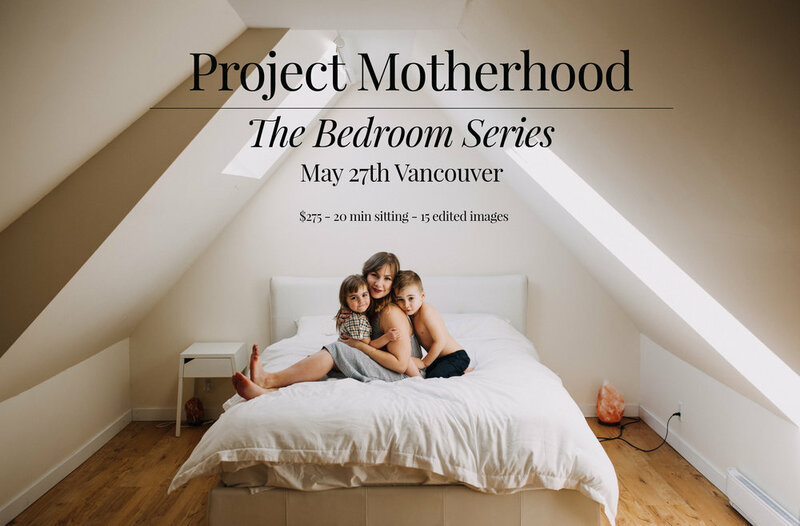 On May 27th in Vancouver I will be photographing Mothers in this dreamy Loft with their little ones. The perfect space (with the most perfect light) to get close, play, snuggle up, and just be together. 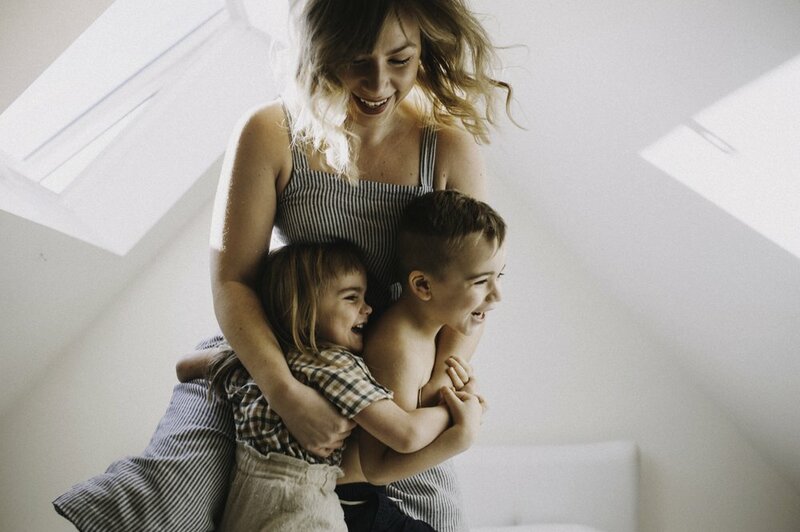 I love the Project Motherhood studio sessions (I will be offering studio sessions June 3rd in Abbotsford), But I do think that some kids need a little more freedom, and a little more comfort - And I'm hoping this bedroom will be just that.